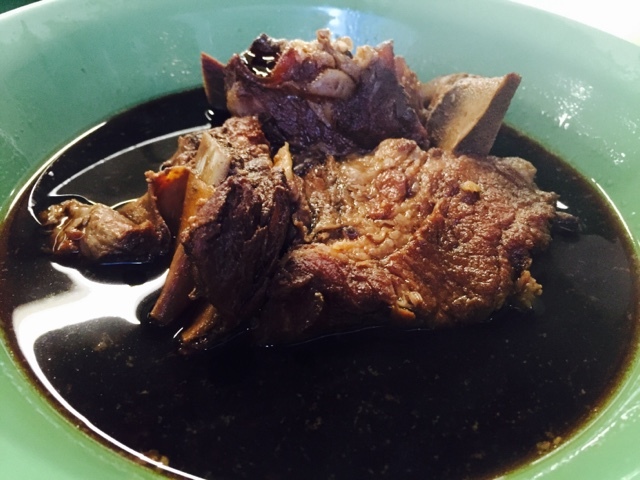 The Bak Kut Teh [肉骨茶] cooked in Klang style is a more popular dish in Singapore. The Klang version serves thick, cloudy soup with herbal taste. 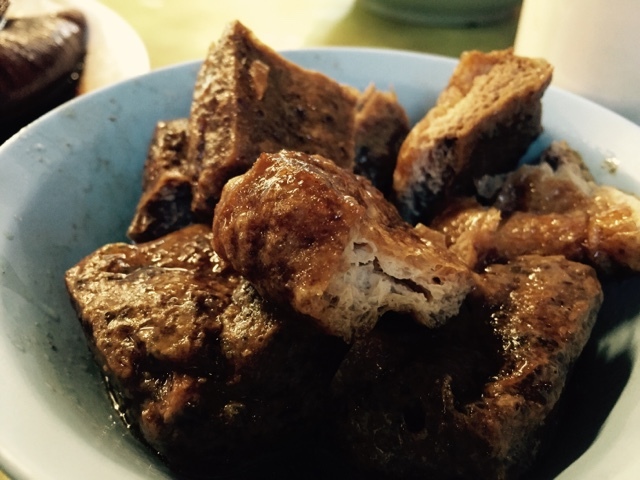 At Morning Bak Kut Teh at Hong Lim Complex and Food Centre, the traditional bak kut teh was well-liked by locals. Having a nice bowl of dark rich soup and enjoying it with Chinese Tea were a great combination for a local breakfast meal. Apart from having the pork rib soup, it is also good to order other sides to make the meal more wholesome. 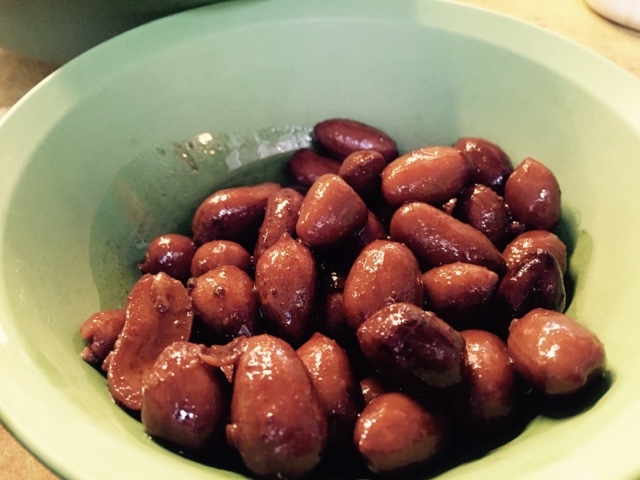 Crunchy braised peanuts were rich in taste and every bite was super enjoyable. 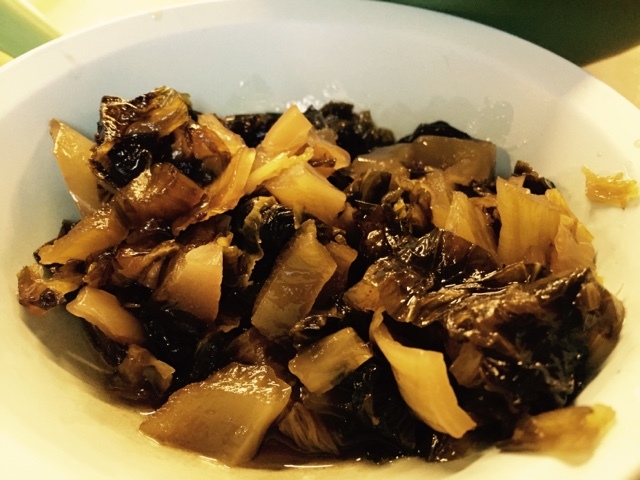 Preserved vegetables, one of the sides that diners should order and try. Fried beancurd soaked in the dark sauce. The beancurd was a little rough but was highly absorbent like a sponge. 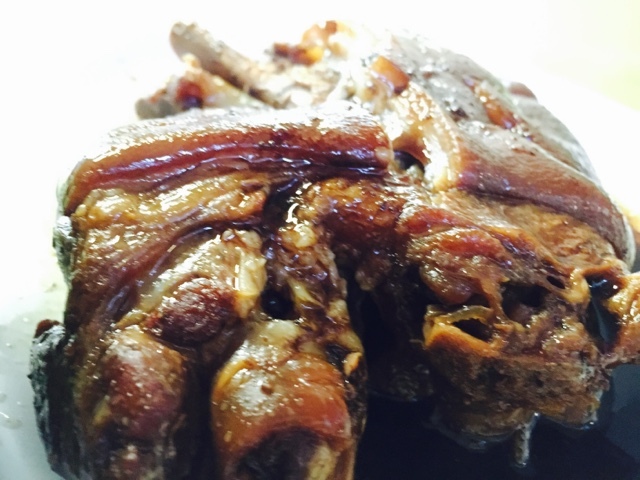 Pork Trotters serves in succulent tender meat that was extremely enjoyable. Best to be eaten with steamed rice. Rating: 3.5/5. Between the teochew and klang styles, I prefer the former style with the peppery taste.